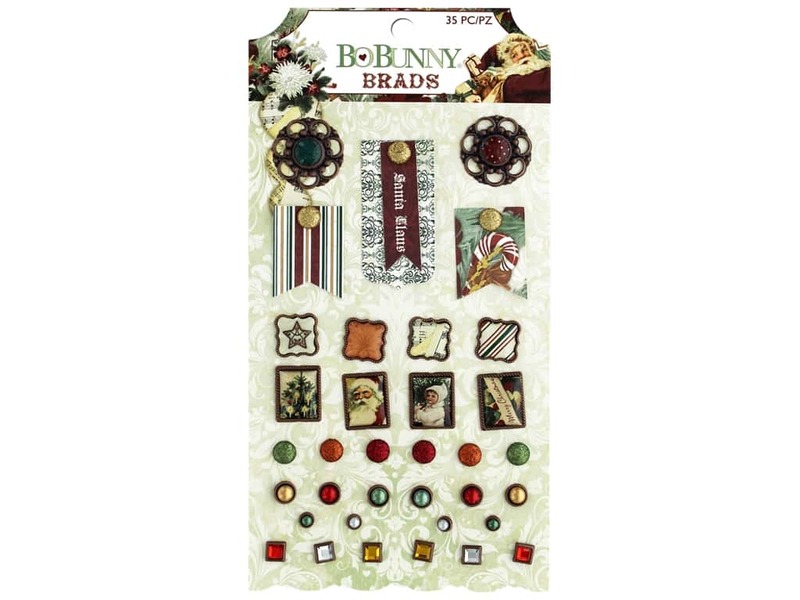 Description: Bo Bunny Collection Yuletide Carol Brads- Contains 35 brads with pearls, rhinestones, and epoxy covered prints in copper tone frames, and 3 die cut cardstock pennant flag tags. Designs include Santa, decorated trees, and captions Santa Claus and Merry Christmas. Largest measures approximately 2.13 in. x 1 in.